It seems like hyperbole to say, but the CFAST vs XQD battle is already over. For the consumer, this is a good thing. For the last couple years we have seen the memory market segmented over storage, and with CFAST being backed by the Compact Flash Association (CFA) (despite it’s weaknesses when compared to XQD), it seemed like we were going to be stuck in a losing fight between two standards, one backed by the CFA, Arri, Canon and Blackmagic, and the other backed by Sony and Nikon. A battle that would continue to drive a wedge between companies, force prices higher, and hurt the end consumer. I was planning on writing an article that objectively showed the positives and negatives of these two memory types, and looked to inform the community of photographers on how to “make decisions with their wallets.” I wanted us, the consumer, to help push this market in the right direction because let’s face it: the cost of high end cards was rising to outrageous levels. That was my intention, until some rather unexpected news hit my desk. The article I was going to write no longer matters, because there has been a huge step in the right direction for the future of memory. Last month, the CFA announced a new card type: CFexpress. But to understand why this is important, we need to look at data transmission and the complicated world of politics involved. But trust me, CFAST has already lost. I think to best understand why this is happening in the first place requires the knowledge of each of the two major card types currently out there for high speed, large storage in CFast and XQD. These cards are vastly different in not only how they look, but how they operate. In order to get a grip on what was going on here, I spoke to Sony, Lexar and SanDisk independently. Initially I wanted to get a firm grasp on the advantages and disadvantages of both the XQD and CFAST formats, but in the end it helped frame a better informed picture on why the CFA made the decision they did. In the case of Lexar, they “supported” both CFAST and XQD, but in conversations with multiple representatives of the company, it was clear at the time that they saw a greater future in XQD than in CFAST, hence why I have listed them as XQD supporters. The CFA, until recently, backed mainly CFAST, and not XQD. This is likely why we have seen greater adoption of host products from Canon, Arri and Blackmagic, with greater companies producing the standard (like transcend, SanDisk, etc). SanDisk followed the CFA, and chose to not even produce XQD cards over the past couple years, abandoning the format entirely (more on that later). As you can see, XQD is used in a lot fewer cameras than CFAST today, and especially when you consider Sony still has not put XQD in any of their photographic cameras, electing to only place them in their high-end camcorders. With the backing of CFA and the fact only Nikon has been a loud supporter of the format, it’s no wonder CFAST has been more common in the last year. Lexar and Sony told me that they both believed that XQD was the format of the future, while SanDisk said they were putting their weight behind CFAST. There are two places here that are a bit surprising. First, that SanDisk told us that the limit of speed for XQD was 500 MB/s. This, I have found, is not true. The limit is far greater than that, with Lexar estimating 1000 MB/s (but it is expected to be even higher than that). The second thing is a related note, with Sony’s hesitation on saying the speed limit of XQD, and this is likely because they simply don’t know yet: the limit has not been reached. 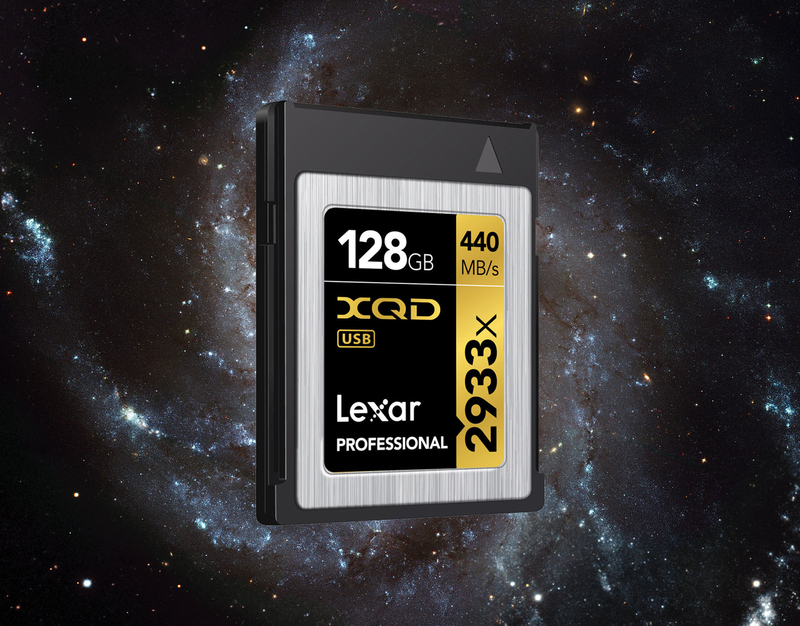 In any case, Lexar seemed to be in the strongest position to make statements on these card differences, seeing as they are the only major manufacturer to be producing both CFast and XQD. SanDisk doesn’t produce XQD, which may be a reason for their lack of knowledge on speeds. At any rate, I deferred to Lexar in many places here because they seemed to be more informed on the wholistic picture. XQD is going to be the winner here for a number of reasons, but the most basic one is at the core of the two products: the type of interface. XQD is PCIe, while CFAST is SATA. PCIe is a more “scaleable” type of interface, while SATA was never really designed to be scaleable at all. SATA has one definition and is capped at 600 MB/s speeds. This is not a “theoretical” cap, this is a true cap. It can’t go faster. As you can see, this is problematic since the requirements for speed and efficiency on the side of cameras in the last two years has gone well beyond SD, and with 6K and 8K just around the corner in consumer devices, there is just no way that 600 MB/s is going to be enough. But on PCIe you can add what are known as “lanes” and therefore it can scale. You can’t do that on SATA, it’s just not part of how the interface is built. Because SATA cannot scale, is perhaps why CFAST was doomed from the start. PCIE can be combined together to expand upon each other. For example, if something required more speed beyond what one card could do, PCIE allows to combine two cards to reach those speeds (create more lanes) and then software could be developed to read both cards together as one unit, which allows you to go way beyond the rates of what you see right now. Think of it like RAID 0: more drives for more speed. It’s a bit dangerous, as if one drive fails, the entire data packet is lost, but at least it is an option. Another benefit to PCIe is backwards compatibility. 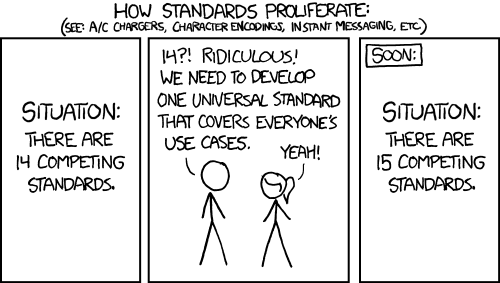 Let’s say you built a host platform (like a camera) on PCIe Generation 1. If you then created PCIe generation 2, the reader for Generation 2 would be able to read Generation 1, and Generation 1 host platforms could accept Generation 2 with a simple firmware update. XQD is a PCIe Gen 2, but if a new host which is PCIe Gen 3 was created, it will be able to read media on PCIe Gen 2. It can support Gen 3, Gen 2 and Gen 1. So why does this matter? Well, because the CFA’s new format, CFexpress, is PCIe. On September 7, 2016 the CFA decided that competing standards was not the way of the future, and likely realized that their continued majority support for CFAST over XQD was not a winning strategy in the long run. Rather than allow the two competing standards to drive up the price of memory, the CFA and its members developed a new type of memory: CFexpress. The best part? Because it’s PCIe and because PCIe is backwards compatible, XQD will continue to work on CFexpress cameras… and, theoretically, any camera produced to work with CFexpress will work with any XQD card currently on the market. Which means that buying CFAST is a dead-end decision. Buying XQD? That’s actually future proof. Seamless compatibility with the capture ecosystem and workflow tools. PCIe Gen 3 Interface Provides a max theoretical interface speed of 1.0GB/sec per lane of PCIe. This speed enhancement enables a new generation of higher performance cards to meet requirements for professional video recording. Family of Form Factors Provides multiple form factors to address multiple market segments with a unified physical interface and memory/storage protocol. 2 lane and 4 lane form factors will be the initial focus but anything from 1 lane to 8 lanes is possible. This provides a range of up to 8GB/Sec with PCIe Gen3. NVM Express A storage interface designed from the ground up for NVM storage. The NVM Express protocol features fixed length commands, an efficient queuing model, and very low noncacheable PCIe accesses per command, delivering reduced I/O overhead and performance improvements in comparison to legacy storage device interfaces. NVM Express is gaining popularity across various flash-based storage solutions and has driver support on all leading OSs. The decision to move forward with CFexpress has already been made. The spec for 1.0 should be ready by November/December. Samples should be ready for testing with host companies (that means anyone who wants to build hardware to accept the memory can have a sample to begin testing) by the first half of 2017. That means, theoretically, we will see CFexpress hit the market and have host products available by as early as 2018. That is much, much faster that I ever anticipated a “winner” between CFAST and XQD being decided, let alone a new format being adopted by the CFA. We have been told that CFexpress’s form factor is going to be identical to the XQD form factor. This is huge news for Nikon and Sony users who have already invested in XQD. Their cameras will be able to be ready for the future via a simple firmware update. With that, the cameras will be able to accept both XQD and CFexpress. Unfortunately for those who backed CFast, and those who invested thousands of dollars into cards, the format will undoubtably 100% die, just as CF is. From the get-go, XQD was going to be the winning pony. With the PCIe interface instead of CFAST’s SATA, it was undoubtably more future-proof than the aging infrastructure of CFAST. We got to this point because Sony and the CFA managed to come to terms on something. Sony before owned the format, and licensing of the format was theirs, and theirs alone. This attitude is likely a major reason why the CFA supported the CFAST card, as the format really was far more “open.” But with the announcement of CFexpress, it’s pretty clear that Sony loosened up a bit, and that was a good thing for us as the consumer. More manufacturers, more people on board and everyone using one system means better product, and lower price. And that’s a win for us. Previous ArticleReconstructing the Creative Inspirations Behind Todd McLellan's "Things Come Apart"